Discussion in 'Strength & Conditioning Discussion' started by passin_guard, Dec 17, 2012. Im a amateur mma fighter with 15 fights at 170 but never really done any strength training. My wife got my a gym membership to help my get down to 155, but I also want to become stronger. Between my work and training schedule I decided its best to do my lifting first thing in the morning before work. Is a bowl of oatmeal with protein powder in it good to eat as soon as i wake up?. Then how long do I need to wait before lifting? You can get stronger without getting bigger. Keep your diet in check. Stay away from 10-20 reps workouts unless its for assistance and you want to get bigger (hypertrophy). Routines and other info that will help are in the FAQ. When I work out in the morning all I eat is a cup and a half of oatmeal and a protein drink as well, always felt fine with that. Sure, that sounds good. I usually wait at least an hour after eating, but I dont think there's a set rule. Try different times out and see how you feel. Doing sets of 10-20 is a very bad idea, and would also lead to more hypertrophy specific training, which is what you dont want, as you dont want to gain weight. 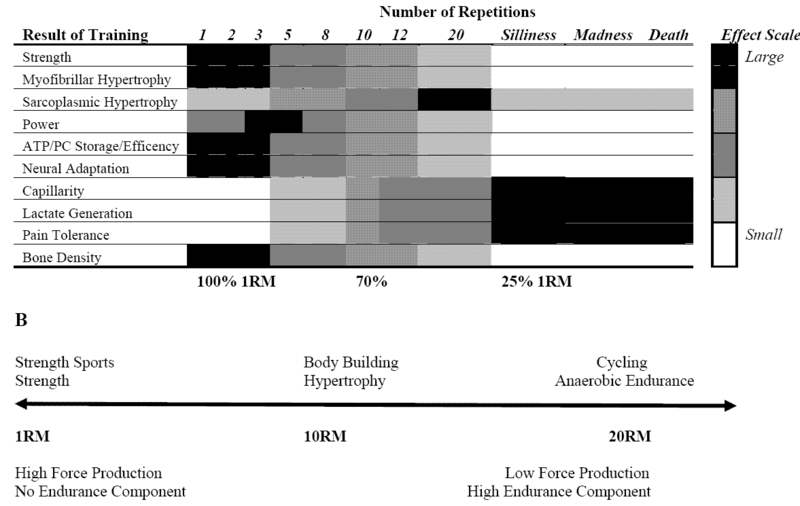 ("According to this theory, during sarcoplasmic hypertrophy, the volume of sarcoplasmic fluid in the muscle cell increases with no accompanying increase in muscular strength, whereas during myofibrillar hypertrophy, actin and myosin contractile proteins increase in number and add to muscular strength as well as a small increase in the size of the muscle"
A simple 5x5 routine (SS is usually recommended) will work great as a beginner. Also, its not hypertrophy focused, so if you have a good diet and dont overeat, its possible you will go down in weight and gain strenght. Allthough, I must say I am fairly suprised you choose strenght training as a way to get down in weight? I think you'd be better served eating a good amount and training really hard for half a year - year, get a good base level of strenght and then decided if you want to go down in a weightclass. But then again, im very far from being a fighter or a competitor at all. I'm okay eating a full meal, and lifting immediately after. But it's not for everyone, or so I hear. The point is, eat something, but you can't assume that what the right amount and kind of food for someone else will be right for you.